View all current homes for sale in Altamira, Fort Pierce, Florida. Click on a listing to the view property details, photos and maps. If you would like to change or expand your search criteria, go back to the Fort Pierce search page, or try using our Advanced Search. Unbelievable Ocean to River Views from every room in the condo. Private Elevator to your condo. Cook's kitchen with breakfast area with Stainless Steel appliances, granite counters, wine fridge. Tile and Wood Floors throughout. Crown Molding. Outdoor balconies from most rooms. 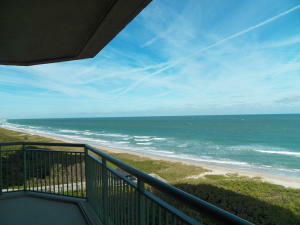 Amenities include: Beach Access, Sun Pavilion, Clubhouse w/kitchen, billiards room, exercise room, game & library, sauna. Community Pool & Hot Tub. Grill Area. So much to see & do. For more information about buying or selling property in Fort Pierce, please feel free to email or call us at 954-720-7111. We are here to help!